Saturday was a double food holiday. Obviously, it was Cinco de Mayo, but, this year, May 5th also fell on the first Saturday of May, Kentucky Derby Day. I always serve up margaritas and some Mexican fare on the day. 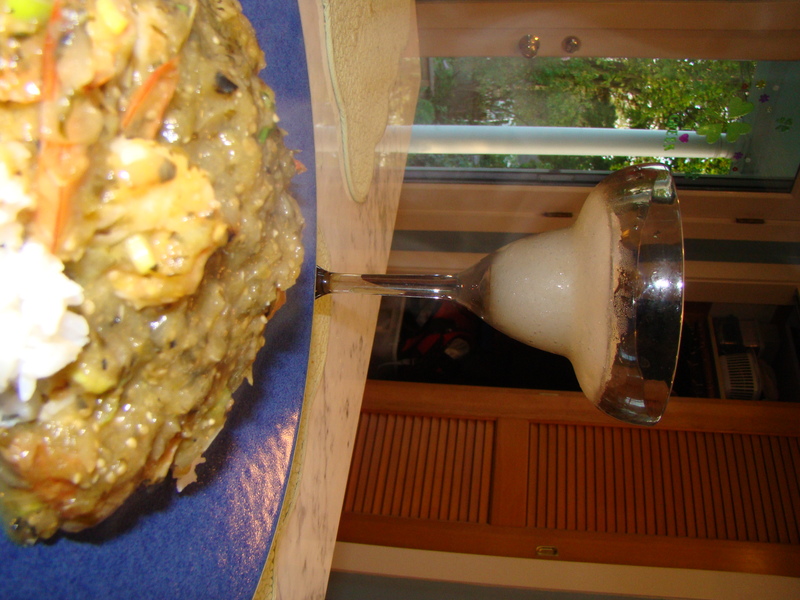 This year, I made a simple sauté of shrimp in a tomatillo sauce to serve over rice. The piece de resistance was the Kentucky Derby portion of the meal: dessert. A couple of years ago, I unsuccessfully tried making Mint Juleps. They were probably fine, but the unsuccessful part was that neither of us cared for them at all. They were much too strong and alcoholic for us. I think that mint juleps are probably an acquired taste. 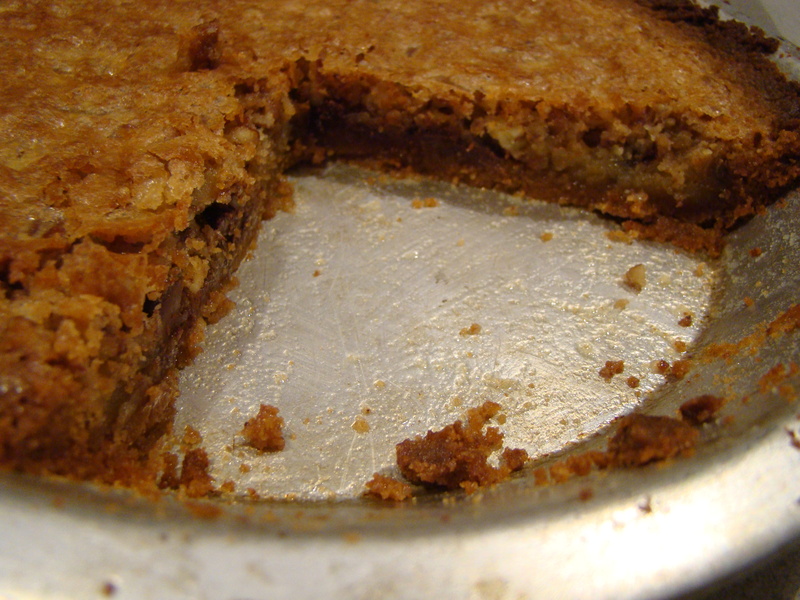 For a backup plan, in my recipe box was a recipe for Kentucky Derby Pie from my friend Lauren. This pie resembles a chocolate chip cookie with some bourbon mixed in for good measure baked in a pastry crust. I didn’t feel like making pastry crust so I tried this in a graham cracker crust instead. I loved the way it came out. The buttery crust melded with the buttery filling, and the result was sweet confection. Derby pie was the perfect way to round out the eventful day. I’ll Have Another won the race, and I’ll have another slice of pie, please! Combine the crumbs and sugar in a small bowl. Add the melted butter, and stir together with a fork until it is mixed well. Press the mixture evenly over the bottom and sides of a 9-inch pie plate. Bake for 8 minutes. Blend sugars and butter (I used the KitchenAid) until mixture is fluffy, about 3 minutes. Add remaining ingredients and mix well. Pour filling into pie pan with baked graham cracker crust. Bake for 10 minutes. Reduce the heat to 350F and bake for 20 minutes, until surface of the pie is lightly browned.